Powers shouldn't rely on being balanced by having players team up, otherwise in a 2P game one guy gets stuffed and the game becomes broken. Yeah, I get that. And I opted not to test it out in a two-player scenario. I suppose what I'm driving at is IF it creates an imbalance in a larger scale game. Or, more to the point, has anyone thought of or tried this before? Inspired by Mice and Mystics, I decided to do a race for Small World. They are like the Mudmen from Small world Underground, but instead of swamps they gain troops from farmlands. During the Troop redeployment phase of your turn, take 1 new Mice token from the tray for each Farmland Region you occupy and deploy them in any Region(s) your Mice occupy. Remember not to scale when printing. I hope you'll have fun with them. I have been trying to come up with new powers as I find them more interesting (and harder to invent) than races. I like powers that change the game mechanics but remain balanced with what already exists. Here are some I have been developing. Displacing (2?3? ): Any region containing ONLY 1 race token can be conquered by a single Displacing race token but the conquered token isn't killed, it is relocated to any empty region on the map of the conquerors choice. If the conquered region would give the displaced token a bonus, that bonus is transferred to the conquering player. If no empty regions are available, this power cannot be used. *fortresses, troll lairs, etc provide protection against this ability. There can only be 1 token in the region to be conquered. My thinking: I wanted a power that rewards defense and penalizes solitary tokens. The balance against these regions being so easily conquered is that the player doesn't actually lose the token or even a VP, but is relocated on the board. I hope to test this next weekend when I play with my nephew & family. The reasoning for the lack of adjacency requirement as well as the transfer of bonuses was to provide an incentive to Displace a token rather than just kill it.Also, it leads to the interesting strategy of bullying one enemy token all over the board, gaining all the possible bonuses. Use one token to displace (and conquer) a single human token in a forest. Send the displaced human to fields where they would gain +1 VC. Then use another token to displace that same human token to a different field. Rinse, repeat until you are out of tokens in your hand. Not sure if I like that but it would be different. And while a Displacing race could quickly grab a number of bonuses, they would also be very spread out and possibly lacking in defense. I suppose you can add a rule that a particular token can only be displaced once per turn but I don't want the power to be too overly complicated. I do like the mechanic. It's different from what's already in the game and I have this vision of a race teleporting into a poorly defended region and zapping the lone defender half way across the world and claiming the region for themselves. I just need to find an elegant way of making displacing a viable choice over outright killing. Prognosticating(3? 4? ): During the redeployment phase of your turn, take your 4(5?) All Seeing Eye tokens and place them in any region (1 per region). If any region with an Eye is conquered, take the Eye back in hand and receive 2 (1?) VC from the bank. Take back all Eye tokens during the Readying Your Troops phase. I debated allowing this power to be used before a player's turn when they could "predict" their own conquests but that felt overpowered. I am not certain yet on the exact numbers involved. More Eyes, worth only 1 point each or fewer worth 2. With all VC granting powers, I have to compare to Merchant, which a well played race can use to gain +7VC every turn but gives only 2 tokens. As written now, there is the possibility of 8 VC but this can be thwarted by other players. In my perfect world, these Prognostications would be hidden from other players as to not influence their decisions on where to attack but that mechanic just does not exist in this game. The problem I foresee with few eyes/2VC is that the player can use them defensively, placing the Eyes on his own border regions causing opponents to hesitate to conquer a region that gives 2 VC to the current occupant. Having more Eyes (5? 6?) worth only 1 point each could offset that. I suppose the rule could change to During the redeployment phase of your turn, take your All Seeing Eye tokens and place them in any region you don't currently occupy(1 per region)to prevent purely defensive use of them. Any thoughts on this? Feels underpowered (thus thinking about +2 tokens/turn) since all this really does is leave your In Decline race on the board a little longer. Play testing required. Needs a better name. OK, so this is just Vengeful in reverse. Not every power needs to reinvent the wheel right? Although this is useless at the start of the game and might need to be fixed. Also needs a good name. I am open to any and all comments or criticism for improving these ideas or just telling me they are unworkable and abandoning them. Thanks! Prognosticating : very good idea, although I don't quite like the name (what about Seer ? I used it for something very similar). Give them a 5, but only with +1 VP from the tray. Or maybe only 4, with two eyes, but they grant 2 VPs each. Ressurecting : not bad, but Ressurecting White Ladies would be broken. Perhaps I should go back to that name. But yes, thy are very underpowered, even though they should be able to gain a large number of regions very quickly (and Displacing Orcs or Skeletons would be close to broken), but they probably won't be able to hold them. Is the solution then to add some defense? I can think of a dozen different ways to add something but they all start to lose elegance & simplicity. Best one I can come up with is: When In Decline, solitary Displaced Race tokens are not removed when conquered, but teleport themselves to an occupied region if possible. I am curious as to what you think is unbalanced about Homebound - too weak, too strong? Too annoying? I haven't playtested it so I haven't seen how it would actually play out. You may conquer monster occupied regions and regions with popular places and righteous relics with 1 less token than usual. Gremlins? Greedy? Dunno what to call it. Draw a random relic or popular place when you take this combo. You may place it on any region you occupy at the end of your first turn with this race. Hill regions you conquer are invulnerable, even in decline. I FINALLY thought of a thematic way to raise the number of hill users to 3. When attacking or attacking from cavern regions, you use 1 less token. Think slightly more powerful giants with caves. You may conquer regions occupied by active races with 1 less token than usual. For future reference, ALL races/powers with a "one less token on certain regions" power must have more tokens than the ogres/commando power. The first one is too weak, I would make the bonus attack a -2. I did the same for my Yetis, which can attack Mountains with 2 less tokens than necessary. And Mountains are still more numerous than Relics and Popular places. Yet it's a very good idea, so are the others. I would make the first one a power and call it Burgling. And I like Minotaurs a lot ! As my 13 year old Swedish nephew just started playing the game with us, I have been busy making many new races. Some are just variations on Giants' power (you may use one less token when attacking from a ___ you own) but my family kept asking me why mountains were the only ones like that. Saw this one elsewhere and tweaked it a bit. Originally, it was just 1 VC, but even in a 5 player game, it just wasn't enough VCs to really be viable compared to Orcs or someone with Merchant or Pillaging. at 2, it's still not better than Merchant but better than Wealthy and if you keep them at least 3 turns, it can be on par with Alchemist. Hasn't been tested in less than a 5 player game though. Ents/Treants: When an In Decline Treant occupied region is conquered, place a Shady Grove marker on the region. The Shady Grove gives +1 defense to the race occupying the region (and in all ways acts like a mountain token &#8211; can&#8217;t be moved, remains if the region is abandoned) but continues to score 1 VC for the Treants. The Shady Grove remains on the map until Treants are forced off the board. I generally hate hate hate any custom race/power that involves sharing a region (in a 5 player game with 11 races on the board, seeing where you are is hard enough without worrying about being under someone else's token) and have avoided or rewritten any custom race that involves this mechanic. However, I liked this idea for Treants enough to create an easy to see mountain-sized Shady Grove token which makes the 2 races on a region idea work. We have noticed after several plays that since we are family, we tend to play less aggressively (even apologizing when killing active tokens), so I have been designing races & powers that reward attacking active races more. For others, this approach may be unbalanced but it works for us. I am open to any feedback, comment or criticism for improving these. Wights are on my list of races to create- I rather like your version so they are getting moved from the "create" list to the "need artwork & a banner" list. Grab a set of markers and one of the blank banners from the main game or an expansion. The art won't be detailed, but you have absolute customization. I have already printed out over 30 custom races that I found art for. I have a folder on my computer for other races in various stages of creation, so getting moved from "needs to be created" to "needs art" means I don't need to think of a power and can now make the banner & tokens. Hey, when you say you are printing the art out, do you mean printing out on paper, or on the banners themselves? If the latter, how? once I have artwork for banners & tokens, I line them up in photoshop, then print them out on sticker paper. Then I put the front sticker paper on chitboard* and feed it through a paper guillitine to first make long strips of tokens, then cut them individually. I used an exacto knife on my first batch, which worked fine, but looks homemade. The paper slicer gives really nice results. Last step is to cut the back sticker paper and carefully apply them to the tokens. Cutting the curves on the banners is tricky though and I haven't found a good method yet. *I actually have no idea if what I used is chitboard, but it's a stiff white cardboard of just the right thickness that my sister-in-law found at an art store. You get 1 Coin for each type of diffrent terain type you control in the end of your turn. In the end of your turn you get 2 Coins for each the most popular terrain type you control. In the end you control 2 Forests, 1 Mountain, 1 Swamp : So you get 4 Gold coins for 2 Forests. Exploring - already had this idea and 4 tokens is far too powerful. Remember Alchemist which grants +2 PV per turn, Hill that only grants +1 per Hill... With exploring you just have to conquer two different adjacent regions to have +2 PV already. Give them a 3. Same thing for Homelander, way too powerful. Give them a 3. Jumping - this is a disadvantage rather than an advantage, so 5 is definitely weak. I would give them the power to jump over an enemy region with a -1 bonus attack, but only by jumping over enemies. How many tokens do the ents get? When Treants go into decline, place a Shady Grove token on each region they occupy, then remove ALL Treant tokens leaving none in the map (instead of the usual one). The Shady Grove gives +1 defense to the region (and in all ways acts like a mountain token - can't be moved, remains if the region is abandoned) and scores 1 VC for the Treants on each round they are in decline. The Shady Grove tokens remain on the map while Treants are in decline. I see. I knew they would probably be a 3/8 or 4/9. If I use them, I'll probably use Storm giants (from the hobbit) so the groves can be replaced with black mountains from underground. This was a really interesting thread. I've only just discovered Small World, I wish I'd have come across it earlier! So, here are some of my ideas. For Hire (4): When another player conquers a region, he or she can pay you a victory point to reduce the token cost by two. Players cannot attack you and benefit from this power in the same turn. -- This is a flipped version of Mercenary. Rather than gaining attack power, it's an income source. It's also a cooperative ability that gives other players an incentive not to attack you. The narrative here is that your troops take money from other races to aid their conquest. Harmonius (5): If an active race shares a border with you at the start of their turn, and does not attack you during their turn, the player gains one bonus victory token. -- Note that this does not keep you from attacking neighbors yourself. The narrative is that you are a prospering race that is open and generous in trade, so your neighbors benefit as long as there is peace. SImilar to the one above, this flips Vengeance on its head, and gives a positive incentive not to attack you. Yes, you hand out free tokens, but undisturbed expansion can be worth it. A more direct wording would be "if a player can attack you but doesn't..." but this simple sentence creates a host of problems. It's surprisingly complex to keep track of whether a race can attack you or not. Keeping it to "adjacent" and "did not attack you" this power relies on conditions that are reasonably easy to track. Poaching (5): Collect one victory point for each adjacent empty land. -- The idea is that your race uses adjacent empty lands as hunting grounds. The main downside is that in the late game, you're unlikely to have empty adjacent lands, unless a declining race is removed. Just a little idea I haven't seen here yet. Charitable (3): When this power appears in a combo, put 10 victory points on it. Each time the combo is passed, the player removes one point from it instead of placing one. If none are left, the combo can be passed at no cost. -- An alternative to Wealthy, with a little "pick it now or regret!" spin to it. Hobgoblins (6 / 11): Hobgoblins conquer a region at -1 token cost if they occupy at least two adjacent regions. -- This has been mentioned as a power once or twice in this thread. I think it works great for hobgoblins. They're a monster race, but in D&D lore they are known for excellent discipline and army logistics. 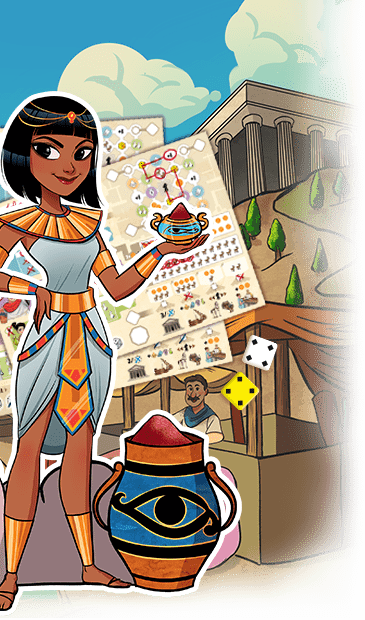 Prophets (4 / 9): You conquer lost tribes and in decline regions at one less token cost. If you do, immediately collect one victory point and leave one lost tribe or declined race token in the region. This token has no other effect but to increase the cost for other races to conquer the region. Remove it when you abandon the region, when it is conquered or when you go in decline. You still require a prophet token to occupy the region. -- The narrative here is that these guys come in as messengers from the gods and convert over the lost tribes and declining races as believers. Demons (6 / 11): You gain three plague tokens. During redeployment, place these tokens in any adjacent region of your choice. You can conquer this region at one less token cost, and it does not generate victory coins for other races. Remove plague tokens when you conquer a region, when it is no longer adjacent to your lands, or when you go in decline. -- The tokens serve two purposes - to announce your next conquest goals and to mess with other players. Of course, they also make for a nice bluff. Dark Elves (4 / 9): Other races require an additional token to conquer a region you occupy. After conquest, this token is put into the storage tray. -- Yes, I'm aware that there are Drow in Underworld, but they are just not nasty enough to live up to the name. These guys are. This also creates a nice opposite to elves - one race rather retreats before they take losses, the other ... retreats too, but then they come back at night and murder you! I'm aware that this has been posted as a power here already, but I wanted to point out just how well it fits drow! All of these are cool! Now I need to decide between your drow,and another version I found whose ability is the same, but with the ability to kill off one adjacent token per turn added. 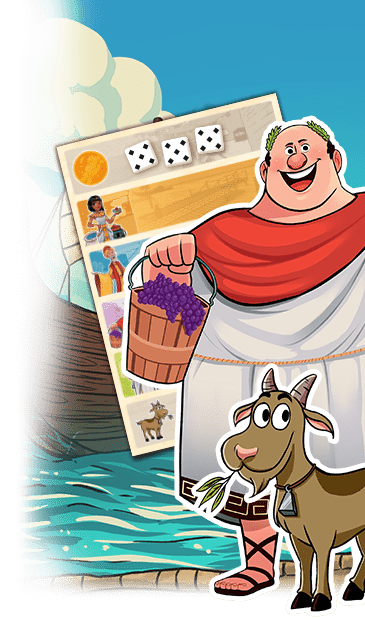 Quacks [4 Tokens] - Collect 2 bonus coins for each Seas & Lakes Region you occupy at turn's end, you may conquer Seas & Lakes as if they were empty Regions. You retain these Regions even after going into decline. Revtaurs [6 Tokens] - Collect 2 bonus coins for each Farmland Region you occupy at turn's end. Conquer any Hill or Farmland Region with 1 more token than usual. Gargoyle [4 Tokens] - Conquer any Mountain Region at 1 less token than usual. A minimum of 1 token is still required. Collect 1 bonus coin for every Fortress or Troll Lair you conquer at turn's end. Caimans [5 Tokens] - Conquer any Swamp or Forest Region at 1 less token than usual. A minimum of 1 token is still required. Your Caimans can pass through any Swamp Region, occupied or empty, without having to conquer it or leaving any token in it. Enchantresses [5 Tokens] - Conquer any Magic Source Region at 1 less token than usual. A minimum of 1 token is still required. All regions with a Magic Source Icon are considered adjacent. BlackDeath [5 Tokens] - Use the Plague to destroy 1 special power on the active draw pile, you then cycle a new special power to the race with an empty slot. Clone [3 Tokens] - During troop redeployment, take 1 new race token from the tray for every 2 non-empty regions you conquer and deploy it. Mountain [4 Tokens] - Collect 1 bonus coin for each Mountain Region you occupy at turn's end. Phalanx [4 Tokens] - Once per turn, place a Formation in a Region to increase its defense by 2 if its located in a Region you occupy of the same Terrain, and only defense by 1 if the connected Terrain is a different type. Tribe [3 Tokens] - Each time the Tribe special power is bypassed, in addition to a victory coin, you must also add a Lost Tribe token from the storage tray (if any left) to the combo. When selected these Lost Tribe tokens must then be placed on any empty regions on the board, including mountains. Quack is redundant with Seafaring... and +2 is a little too much I might say. Revtaurs : why not, though I don't like miwing several powers very much. Gargoyle : WAY too specific to some powers or races in play. Underpowered most of the time. Enchantresses : Underworld, but for a race. You should give them 6. Clone : good, but Clone Elves becomes underpowered. Revtaurs : why not, though I don't like mixing several powers very much. for Quacks i wanted to create a risk and reward, its harder to get to different pieces of water than it is for the other typical resources that give +1 coin. if i drop it to 1 coin, i will have to increase their men or give another effect to offset that i think. i agree with Gargoyles... i wanted something different. would it work for you if it also collected 1 coin from mountains? so mountains are always in play, but if a troll lair or fortress appears, they have another target. for Phalanx i wanted it to work like... say if you occupy a farmland connected to another farmland, if you play a formation token in it... it gets +2 defense bonus, if the land connected is different you only get a +1 defense bonus. i am thinking of tweaking BlackDeath so it can regenerate like Lava/Fireball special power, just have to think of a mechanic. The Mimic race is meant to be a risk/reward race where you quickly can steal gold from other players, but also lose that and maybe more as soon as you go into decline. When attacking roll a dice, take that amount of coins from the defending player. When Mimics are in decline: roll a dice when a Mimmic is killed, give that amount of coins to the attacking player. These two race are meant to be super powerful, and to be feared when seen in the game stack. Use these races in a timely fashion or they can cost you the game. Race:Demons (5) Send enemies to hell! Play Description: The Demons are an offensive race that seek the ruination of souls, and must conquer at least 1 non-empty region each turn or are forced into decline. On the Demon's first turn, convert any Chasm (Underground) or Mountain of their choice to hell! Place the Hell Artifact in this region. ANY tokens currently occupying this space are pulled off the board for use in the next turn as normal (Popular Places/Relics/Tunnels go back to the tray and are lost). This hell region causes terror, so every adjacent region to hell suffers a -1 to defense. As the Demons Conquer regions, send the dead tiles to hell instead of the tray (Lost Tribes in hell collect coins for the Demons player the rest of the game). Conquered tiles are then stuck there the rest of the game, and that tile owner earns 1 VC each turn for each token owned in hell. If the Demons wipe out a single race completely, before they can go into decline, the game ends immediately. count VC to determine winners as normal. When Demons go into decline, tiles in hell continue to earn coins as above. Race: Angels (5) Send enemies to heaven! Play Description: The Angels are an offensive race that seek to protect and save souls, and must conquer at least 1 non-empty region each turn or are forced into decline. On the Angel's first turn, convert any Chasm (Underground) or Mountain of their choice to heaven! Place the Heaven Artifact in this region. ANY tokens currently occupying this space are pulled off the board for use in the next turn as normal (Popular Places/Relics/Tunnels go back to the tray and are lost). This heaven region causes peace, so every adjacent region to heaven gains a +1 till the end of the game. As the Angels Conquer regions, send the dead tiles to heaven instead of the tray (Lost Tribes in heaven collect coins for the Angels player the rest of the game). Conquered tiles are then stuck there the rest of the game, and that tile owner earns 1 VC each turn for each token owned in heaven. If the Angels wipe out a single race completely, before they can go into decline, the game ends immediately. count VC to determine winners as normal. When Angels go into decline, tiles in heaven continue to earn coins as above. 1) Don't play as the first race so you are able to gain enough coin to offset the VC the other players will earn. 2) Take out the smallest-token count opponent, so you are able to wipe them completely. 3) Your placement of Hell or Heaven will have a drastic effect on the rest of the game, choose that location wisely. 4) Attacking your own in-decline civilizations help you to end the game with a higher VC score, but also frees up the board. 5) When placing heaven or hell, look for opponents using artifacts, special powers, and the like and if possible remove that ability temporarily or permanently as stated above. Gorgons(5)- At the end of your conquest, if there are any neighboring enemies, flip their unit pieces into decline, but only that regions units. That race still owns that region and continues to earn VC, but the pieces that got flipped are now stone statues. Automatons(6)- Automatons may go in decline at the end of their turn. Since Automatons are followers not leaders, the next race the player chooses can occupy the same regions as Automatons. Bigfoot(5)- Bigfoot can conquer unoccupied forests and mountains for one less unit. I like your Gorgons ! But your Bigfoot are far too weak... Mounted gives you -1 for Hills and Fields even if not unnocupied, and gives 5 extra tokens. It should then be seven for your Bigfoot. Sirens use their hypnotic voices to lure other races to Davey Jones' Locker. Once per turn sirens may choose a body of water, and if any enemies occupy a region on that coast, they must roll the reinforcement die. Whatever they roll, that's how many units die. These units may not be redeployed, unless immortal or elves. Valkyrie guide lost warriors to the spirit realm, and they don't care if your soul isn't ready. Conquer in-decline units for one less and receive one VC for every unit they kill. I feel like my gorgons could go with this group and it could be a sweet expansion. Your Valkyries are too strong. Gobelins have the exact same amount of tokens and yet their power only consists of -1 against in-decline races and they get no VPs. Which then makes Valkyries overpowered. Snowmen (6/18): For each Mountain Region you conquered you gain one extra coin and one extra Snowman token 'cause they can regenerate from snow. At the end of your turn, you lost one Snowman token from each no-mountain region 'cause they thaw at sun. Mountainous (5): Your race can conquer Mountain Regions with 1 less token. A minimum of one token is still needed to conquer that region. Mountainous is too weak as well. Mounted gives -1 on two kinds of regions ; Mountainous on one only. You should make it two. But then it would be the exact same thing for my Cryothropes I made up. Snowmen (6/18): For each Mountain Region you conquered, you gain one extra coin and one extra Snowman token 'cause they can regenerate from snow. On Decline, after taking your coins, you lost one Snowman token from each no-mountain region 'cause they thaw at sun. Mountainous (5): Your race can conquer Mountain Regions with 1 less token (two tokens instead of three) For each Mountain Region you occupied, you gain one extra coin. Wait, for Snowmen, that means that in decline, they lose all non-mountain regions ?? Moutainous is far too strong now. +1 VP for a kind of region is worth 4 extra tokens (like Forest, Hill or Swamp). If you add a -1 attack for Moutains, it should then be 3.